 Safety silicone measuring lead, at either end 4 mm diameter safety connector with straight and angled outlet. Nickel-plated copper beryllium contact spring. Highly fexible, double insulated stranded lead, high-temperature resistant, shatter-proof grip sleeve and lead. Built in colour indicator for easy identifcation of insulation damages.